Hello there, fellow Scotch lovers! We’ve been quite absent from our website as of late thanks to the distraction we call “Instagram“. Between our natural inclination to want to take pictures ([Scotch] photographs food photography and [Sniff] photographs weddings) and the ease of two way communication on IG, we’ve been quite busy discussing bottles and enjoying scotch with others instead of posting to the blog. This all came to a head yesterday as The Macallan decided to repost one of our pictures (a funny one mind you!) and we ended up getting quite a bit of attention from many of their followers. 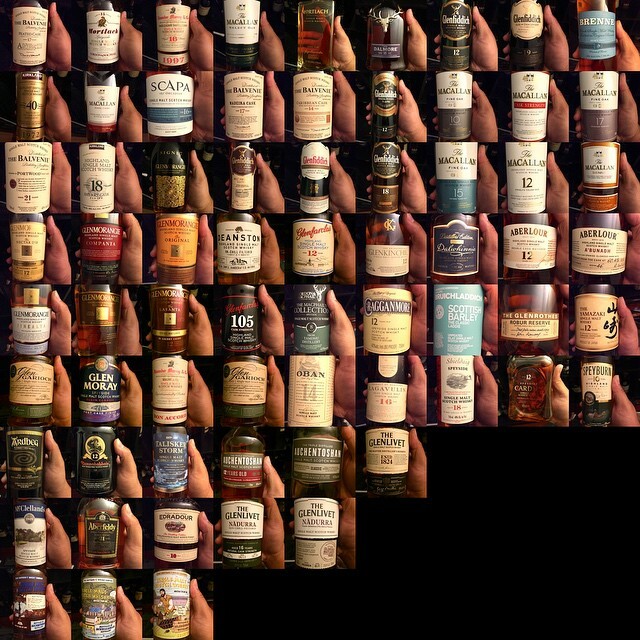 I exchanged a series of texts with [Scotch] and we came to realize it’d been a few month since we had posted to the blog. So we started talking about the need to post but like every time we talk about new posts, I start to think about the potential for richer content. Yes, we can still provide a pair of perspectives on bottles when it comes to flavor profiles but I think we’ll start getting into a bit more of the Scotchucation we set out to provide initially. Let’s learn a bit more about the distilleries that we love. Let’s delve a little deeper into what it is we love about certain bottles. Let’s dig a little more into the realm of Scotch and why it’s so magical.